Can't view this message? Click here to view it online. Our unique approach to network security focuses on bringing best-in-class, enterprise-grade security to any organization, regardless of size or technical expertise. Ideal for SMBs and distributed enterprise organizations, our award-winning Unified Threat Management (UTM) appliances are designed from the ground up to focus on ease of deployment, use, and ongoing management, in addition to providing the strongest security possible. 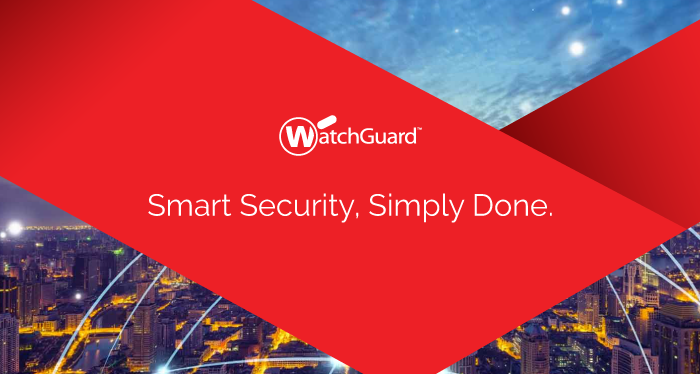 Experience the convenience of having a wireless access point in a WatchGuard UTM. Small businesses in particular will find this feature very beneficial.